Originally for string quartet in G major, transposed here to Bb. Two recorder parts are provided, one with three pp. and one with two. In order to avoid the keyboard player having to turn back 3 or 6 pages, the repeats of both the exposition and the development/recap are written out, and the recorder parts have a double set of measure numbers to be in concert with the keyboard part. 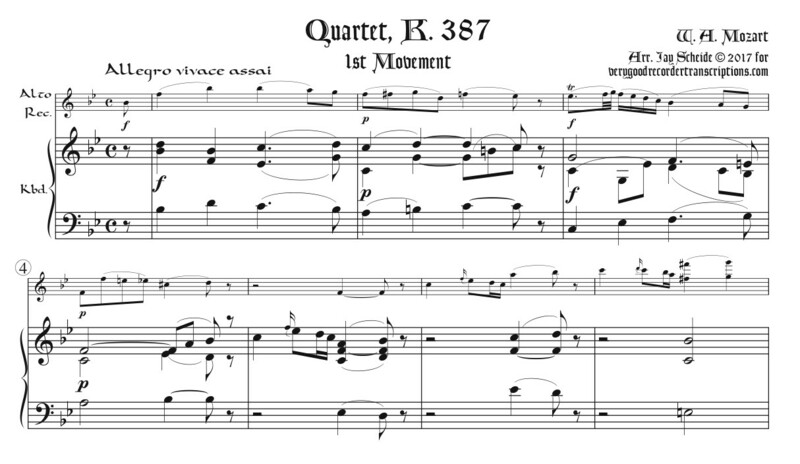 Mozart K. 387.1 for Rec. & Kbd.